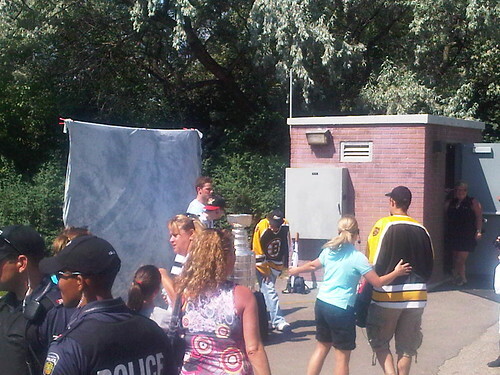 Tyler Seguin was signing autographs with the Stanley Cup on Sunday morning at Chinguacousy Park in Brampton. 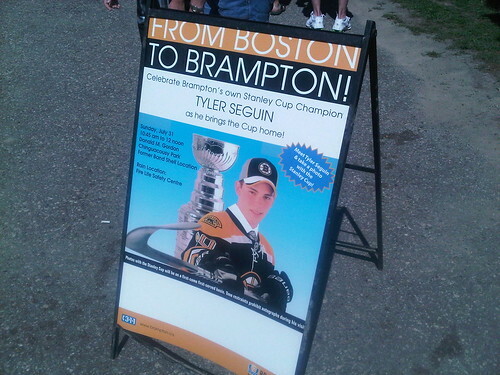 Tyler was born raised in Brampton. 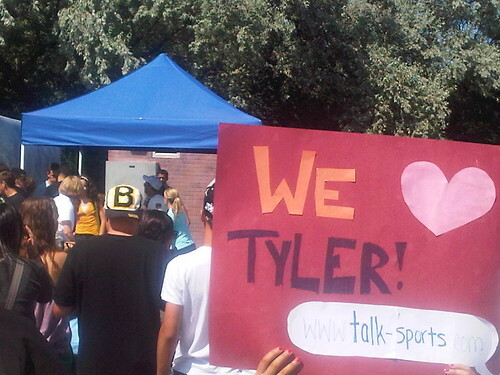 It was next to impossible to get a good picture of Tyler. 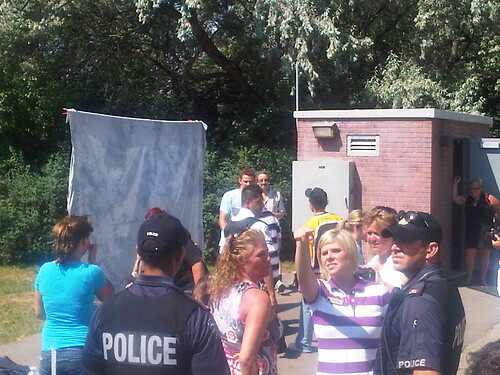 Police were circulating and constantly in the way. You had to sit in line for an hour to get a pic. 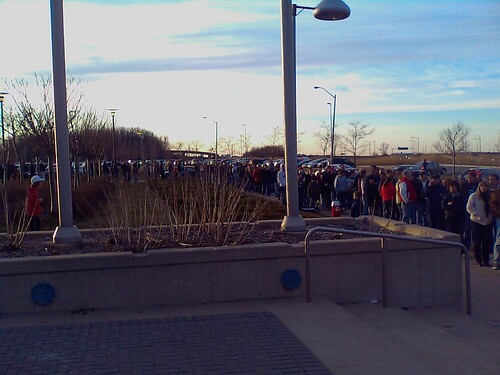 We didn't arrive early enough and decided it was pointless lining up as he had to leave and the lineup was still long. 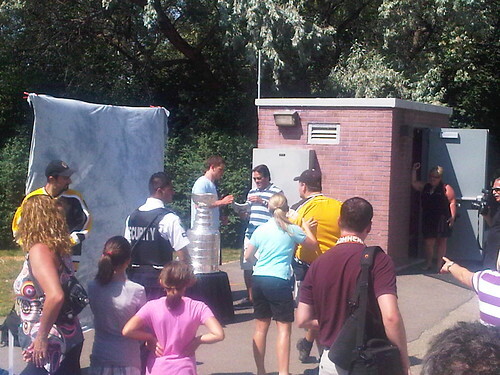 They started taking 10 person group shots only in the last half hour to get everybody a chance to have a pic with him. 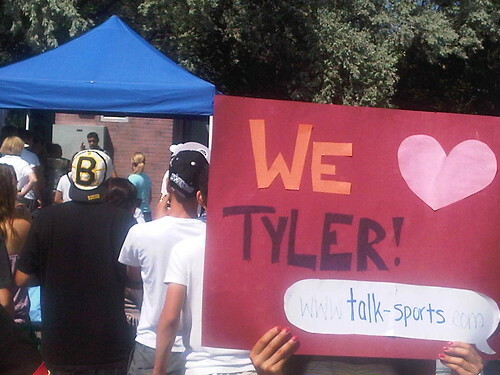 I updated all the OHL rosters on Talk-Sports. My entire family and any friends who wanted a free ticket went the Brampton Battalion home opener on September 24th. I got 300 free tickets courtesy Rogers TV to hand out. Total attendance was below 3000, so I was personally responsible for 10% of the tickets. 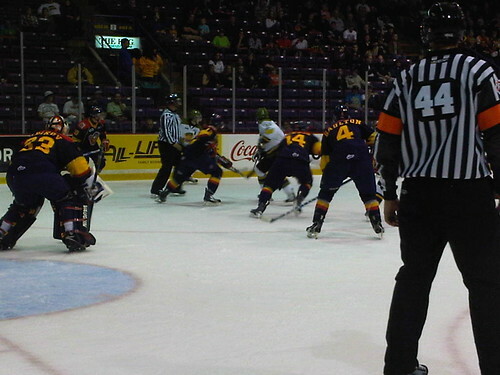 The Battalion lost the game 5-1 to the Erie Otters. During the 1st intermission, my son participated in an ice contest. 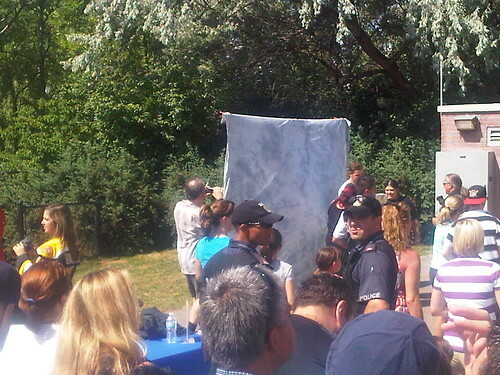 That's him in the white jacket getting ready. Here's the vid of my son doing play-by-play on the ice. The contest. 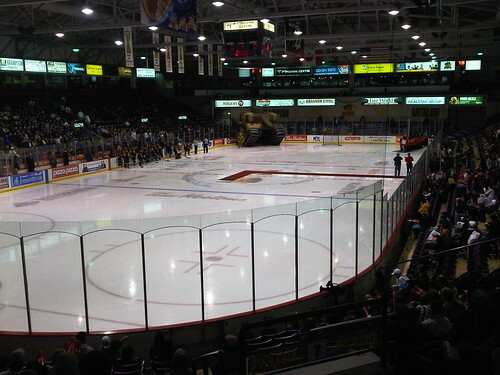 Here's my son in a competition during the 1st intermission of this year's Brampton Battalion home opener. He got the loudest cheer, but that's likely because I gave out 300 tickets to the game. He did a great job. They originally asked one of my son's friends, but he was too afraid. I told my son to step up and he jumped at the chance. 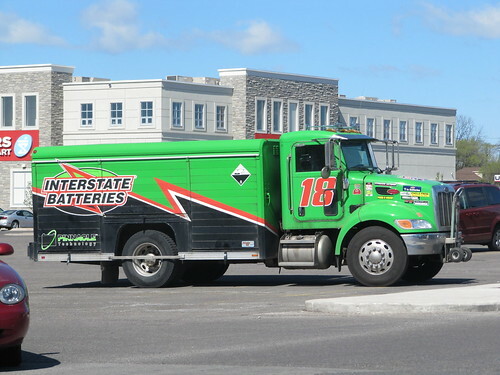 I was suprised last week to find an Interstate Batteries truck painted the colors of Kyle Busch and Bobby Labonte's #18 NASCAR. 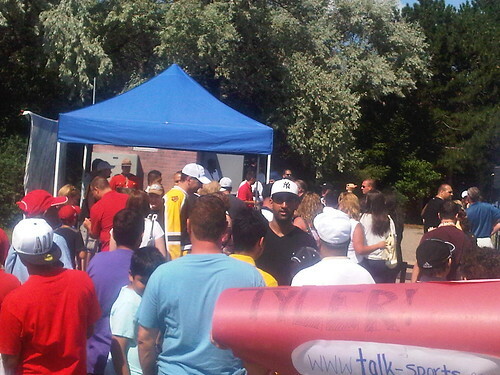 Racing is not a popular sport in Brampton, Ontario, Canada. I doubt anybody in the parking lot understood the significance of the paint job. 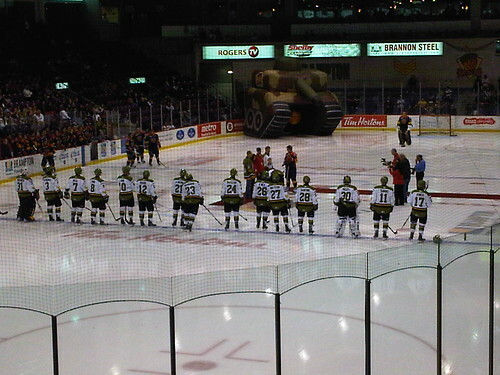 2010 Brampton Battalion players salute their fans and leave the ice after getting swept by the Barrie Colts. Possibly Cody Hodgson's last salute to the fans of the Brampton Battalion. He was 3rd star in the fourth game of the Colts sweep of the Battalion. This summer, I'm going to the Coke Zero 400 at Daytona International Speedway. We are parking in the infield RV parking on turn 4. We'll leave Brampton at noon on Sunday June 28th and return July 11th. We'll likely stop by Hersheypark on the return trip. Here's the racing schedule that weekend. It's gonna be awesome! 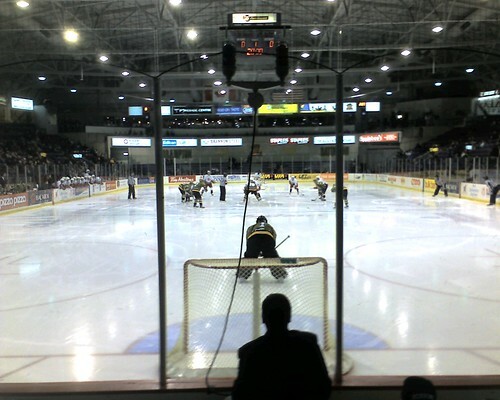 Sunday, my son's hockey team was invited to the Brampton Battalion hockey game against the Soo Greyhounds. We sat behind the visiting teams net. After the game, we played a father and son's hockey game on the Battalion ice.